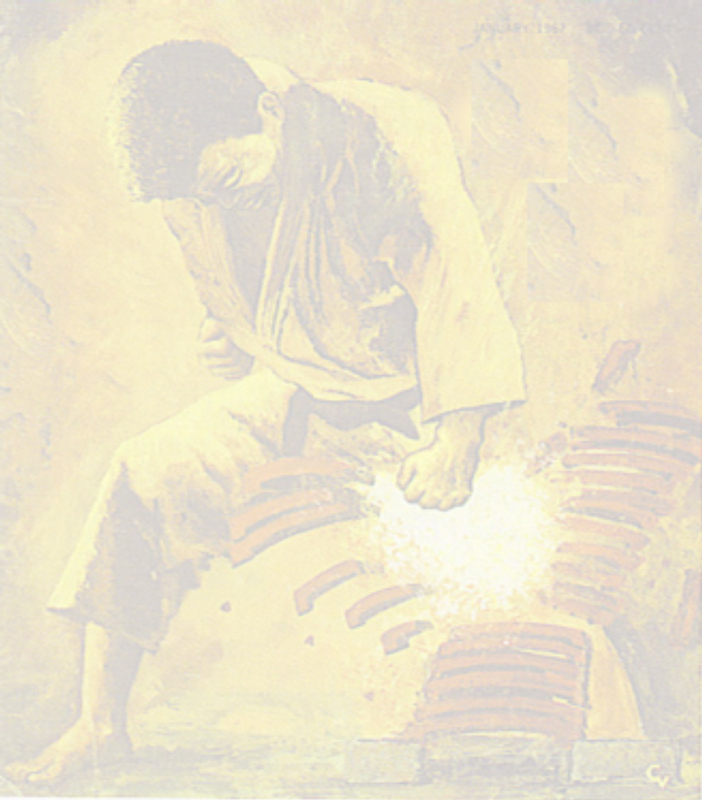 Using various parts of the human body to create powerful impact weapons, Karate is a striking art in which the opponent will be damaged by offensive and defensive techniques. Damaging the opponent until he is disabled is the designed function of karate. All karate is practiced with a direct approach to fighting such that the opponent is faced head-on, resisted, deflected and suppressed, and finally counter attacked with very few, finely-tuned blows in application. Contrary to popular misconception, Karate is not an ancient martial arts system dating back thousands of years. It is, in fact, a relative new comer to the world of martial arts. At the beginning of the 19th century, on the islands of Okinawa, martial arts practitioners blended Chinese Kempo (Kung Fu) with their native hand to hand fighting arts (Te). The resultant combat systems would by the end of the 19th century come to be known as “To-Te Jitsu” or "KaraTe Jitsu". The name paid homage to the Chinese contributions to the fighting systems, loosely meaning " Chinese Hand Techniques". At the beginning of the 20th century, Gichen Funakoshi became the predominant figure responsible for bringing karate to mainland Japan. It flourished there and soon took on a distinctively Japanese character. In the 1920's, Funakoshi changed the first Chinese character in the written word karate (much to do with political considerations since Japan was in the process of conquering China) to the form we are familiar with today. The new character’s translation, is "empty". Not just empty as in having no weapons, but also as an empty vessel, whereby the practitioner of karate could empty himself of worldly evils and develop a better character. Thus was born Karate - Do, "The Way of the Empty Hand". At Shuto Karate Clubs our karate is rooted in the Shotokan system that was developed by Funakoshi. Our training method makes use of low, centered stances used to generate devastating power. 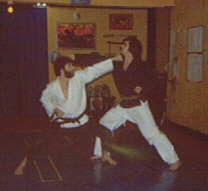 We are, however, a goshin or self-defense school, so we tend to use more height variant stances, circular movements, locking and throwing techniques than are typically seen in Shotokan training. We also place great emphasis on the philosophical and moral aspects of training.